Do you have rental units for extra income, or a secondary or seasonal home you use to get away and relax? AAA Insurance offers the protection you need to cover those valuable assets with Secondary/Seasonal Homes Insurance. While homeowners policies are used when the owner is also the person living on the property, Secondary/Seasonal Home policies are used when the owner is not the main occupant, for example, vacation homes. While coverages are very similar to homeowners insurance, Secondary/Seasonal Home policies offer a wider range of choices when choosing the coverages you need and leaving off those you don’t need. These coverages will be the same as coverages on a homeowners policy. 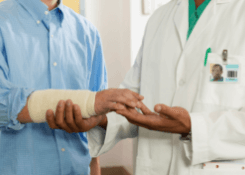 While the limits available for Premises Liability and Medical Payments coverages are usually the same as a homeowners policy, it is recommended to maximize these coverage limits on Secondary/Seasonal Home policies. 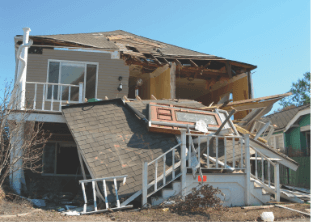 If a tenant is injured due to faulty wiring or if a rotted deck collapses, the landlord is responsible for the cost. Contents Coverage is often significantly lower, sometimes only $5,000, as a base to cover landlord-owned appliances. As a rental unit, the tenant should have a renters’ insurance policy to cover their personal contents. Loss of Use/Fair Rental Value coverage is sometimes set at 30% instead of the 20% most homeowners policies are set at, due to the nature that these properties are rented out. This is an overview of common terms, conditions and coverages. Review your policy or contact a AAA Insurance agent for more information.